ortland OR condos, homes and townhouses for sale from $300,000 to $600,000 in Portland’s Northwest neighborhood. Popular Portland NW 21st and 23rd streets delineate this trendy neighborhood featuring historic residences, Portland condos, townhouses and homes. 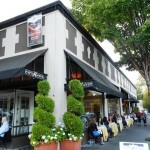 This area is full of restaurants and boutiques, close to Portland’s Pearl District as well as the largest urban park in the nation, Forest Park. Active street life combines with calm residential cross streets in this areas “Alphabet District” making navigation simple. For the dog lovers we have a dog park, Wallace Park and for those who like to venture over to the Pearl District or Downtown there is the Portland Street Car to ride from your Portland Condo.